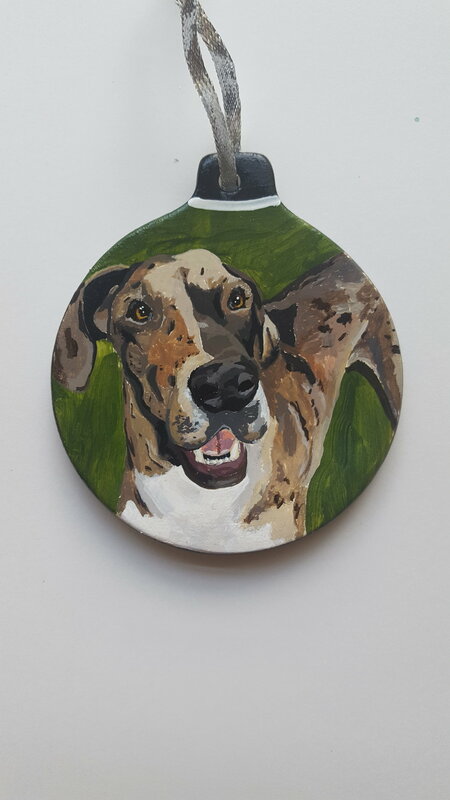 This is my collection of pet portraits that have been commissioned over time. I do a great deal of them at Christmas time, but they make wonderful gifts all year long. 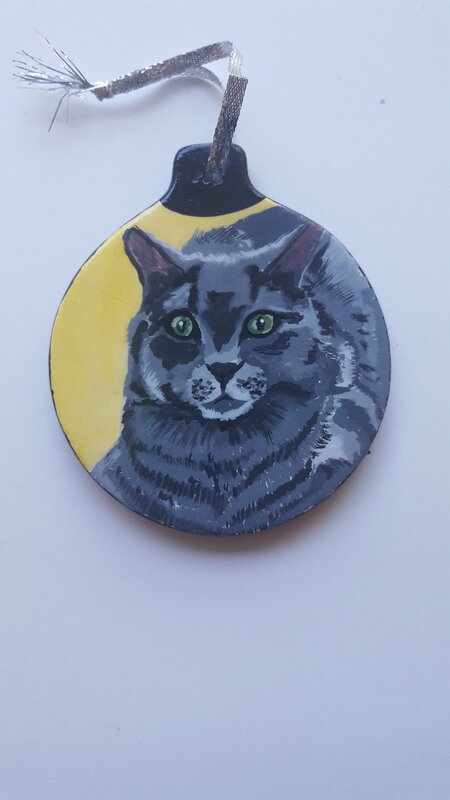 I am available to paint any canvas size desired($200 and up) and/or 3 inch ceramic ornaments ($25).